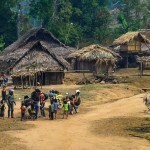 Chiang Mai, Thailand - Tibet border, China (4,500 km - all tarmac road) - 13 days - USD$ 5,295 (All inclusive). 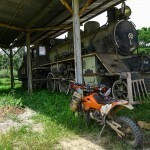 After scouting China, we were the first offering China motorcycle tours. We have ridden this many many times and it never gets dull. 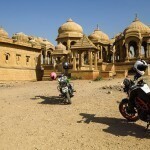 After riding hundreds of thousands of km's throughout Asia, this china motorcycle tour is hands down the best overall riding experience you will find in the region. Why? - Not only do you daily have fantastic Himalayan roads with mountain passes, riding up around 4,000 meters. At the end of every day, you have huge, sophisticated Chinese cities filled with ancient history, quality food and nostalgia. It's an unbeatable formula for the best motorcycle riding experience you can possibly have! Having ridden this area extensively, we've managed to put this 4,500km riding tour together into a 13 day programme, designed for people who like to ride great roads. We’ve keep this China motorbike tour under 2 weeks and still include Tiger Leaping Gorge, Shangri-La & the Tibet border. This MotoAsia tour starts in Chiang Mai, briefly passes through Laos & then enters China, looping back to Chiang Mai, Thailand. We can offer a China motorbike tours into Sichuan/Shezuan province too. 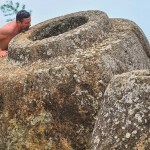 Click here to see the 19 day Szechuan/ Yunnan loop. 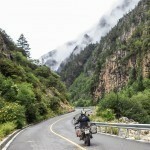 The best China motorcycle tour loop you can do. 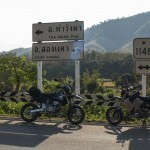 Fast roads to Chiang Khong, Thailand (the border with Laos). 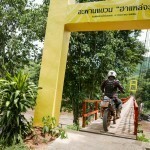 We will then complete border formalities and cross into Laos. 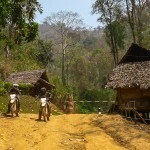 The road in Laos eastwards towards Luang Nam Tha is beautiful. A quick ride to the Laos/ China border crossing, we will then cross into China & head for Mengla and do bike inspections and licenses. For the die hard rider’s, this day is for you. Fast flowing roads with excellent surface and great scenery. We can easily cover a lot of distance in this terrain. One huge Chinese city to another & now creeping into the Himalayian mountains. Lijiang’s old city (Baisha old town dates back to 650 AD) is filled with history & the Naxi ethnic people. Superb food choices in Lijiang’s old town. This is a riding day, you will never forget, gauranteed. 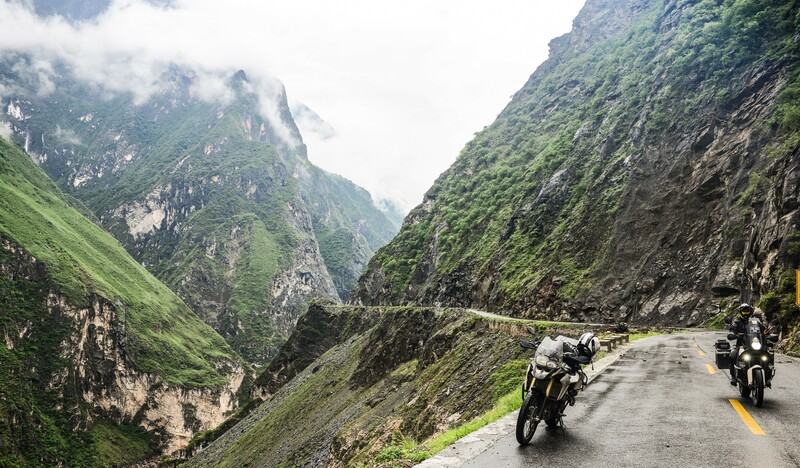 We will ride through Tiger-Leaping-Gorge, one of the deepest and most spectacular river canyons in the world. It is an experience that you can describe, most people stay in second gear with their mouth’s wide open. It doesn’t end there. From TLG, we will enter the Tibetan ethinic area with a complete change in culture & scenery. 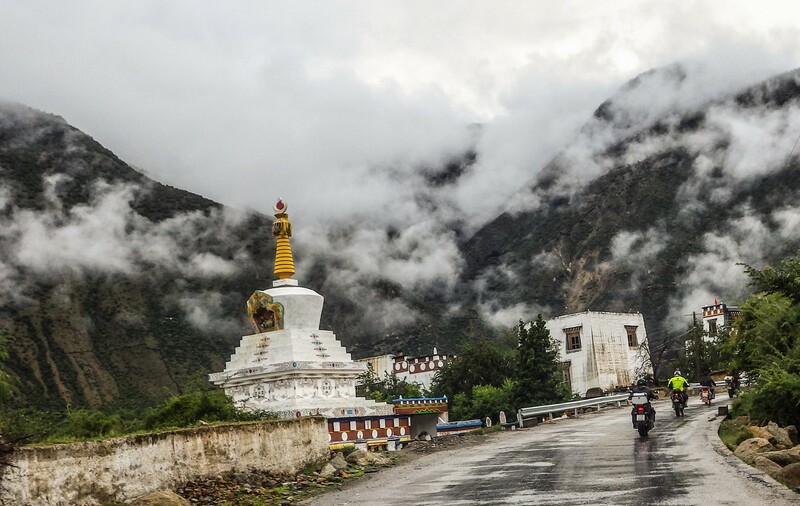 It’s a really special ride all the way to the infamous city of Shangri-La, with its Tibetan culture. A lot of riding so far, perefect time to have a rest in a special town. Plenty to see here including one of the best Tibetan Monateries. Curvey, Himalayian mountain roads to the Tibet border with China. Here, we will see the highly sacred, Tibetan, Kawagarbo mountain, elavation 6,740 meters & its NEVER been climbed. 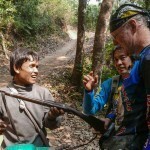 We ride down sream the Mekong to CIzhong Village. Headed south now on different roads, following the 3 parallel river valleys through Yunan province. The ancient town of Shaxi is a protected & preserved beauty, one of the very few left in China, we’re very lucky to have this on our route. Beautiful river valley roads will take us south to the famous tea platations at Shuangjiang. 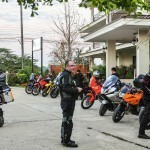 This will be our last ful riding day in China taking us south west in the Xishuangbanna prefecture to the town of Mengla, ready for our exit from China the next day. 3 Asian countries in a day! An early start and we’ll clear out of China, into Laos, out of Laos & into Thailand. Lots of paperwork but it can be done quitev easily. We will spend the night on the Mekong River in Chiang Khing, Thailand. We checked the bikes over that were to be used for this China motorcycle tour all looked fine. 12 motorcycles in total for this China motorcycle tour, jam packed full of riding and scenery everyday for 13 days, covering 4,600 km.